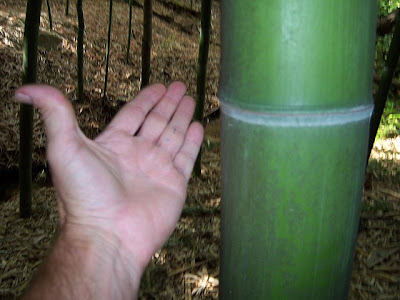 Bamboo FAQ: How Fast does Bamboo Grow? Bamboo is the fastest growing plant in the world (fastest growing plant on land that is). They say it grows so quickly that you can hear it. Under optimum conditions, bamboo has been recorded growing up to 46 inches per day. That's nearly 4 feet! The plant will reach its maximum height and girth after a single season of growth, which can be close to 100 feet tall and 8 inches wide. A bamboo plant produces about 5 times more "Bio-Mass" than your average tree. Learn more about bamboo! Here's a great recipe for a delicious cold bamboo shoot salad. Bamboo shoots can be purchased at specialty and ethnic markets. Ideally, you want to buy fresh shoots, but this is not always possibly in some locations. If you can't buy the fresh shoots the canned version will suffice. 2 teaspoons each of vinegar, soy sauce, and sesame oil. Boil the bamboo shoots and rinse in cold water. Cut the cabbage, radishes, carrots, and lettuce into thin slices. Cut the tomatoes into eights. Chop the spring onions into 1 inch lengths and crush the garlic with salt. Heat the oil in a pan over medium heat and cook the onions, ginger, and garlic for three minutes while stirring frequently. Pour onto a plate when finished to cool quickly. All the ingredients can now be placed into a large bowl. When the oil mixture of sesame oil, salt, soy sauce, vinegar and chili sauce has cooled to a lukewarm temperature you can add it into the bowl. Mix well and enjoy! Bamboo flooring is a great alternative to other common hardwood floor options. When it comes to hardwood flooring, bamboo an exotic and beautiful choice. 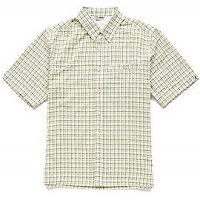 Not only is it durable, but is also resistant to moisture and insects. Most importantly, it's eco-friendly. In fact, the United States Green Building Council's LEED program will award points for the use of bamboo flooring. Here are few reasons you might want to choose bamboo for your next remodel. 1. Resistant to bugs and insects. 5. Bamboo is the best choice for the environment! So I wasn't 100% happy with the original design of Complete Bamboo. I decied to use one of the backup designes I was working on a few months ago. The new design is much more eye-catching and way more efficient from a web design perspecitive. The content is also laid out better. There are still a few features to add and bugs to work out, but overall I'm happy with the finished product.